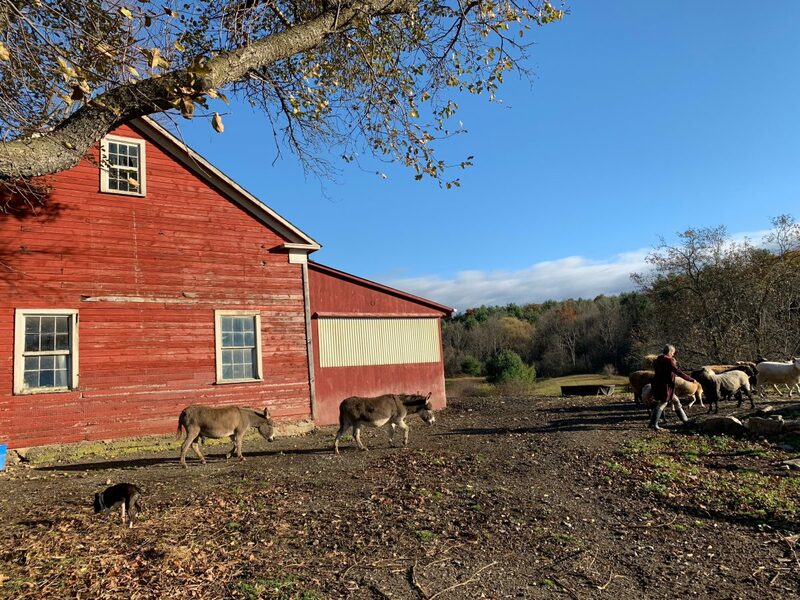 Today, Wednesday, November 7, is my fourth radio broadcast of my new brainstorm, a two-hour show called “Talking To Animals” on WBTNAM 1370, a feisty and impoverished community radio station out of Bennington, Vt. The way I see it, this is a chance to send good signals out into the world. The station is a non-profit media enterprise created to give real and ordinary people a voice in media. They won’t make any money off of me, and I don’t charge for my time or work. I hope you can get to call in, or failing that, listen to some or all of the broadcast. We are reaching out with different technologies to make the program available to you, free of charge. We are good to one another on the program, we have conversations about animals that are civil and thoughtful, even shy people tell me they feel comfortable calling. That is a gift to hear. We are not like the other media, no shouting or demeaning. We discuss training, how to get a dog, the emotional issues dogs bring to us, what’s really going on in their heads, new tools for dealing with behavioral problems, attachment theory and many other subjects. Try to call if you can or e-mail me during the show: jon@bedlamfarm.com. With new technology, we are a national broadcast, you can hear us anywhere, and there are many ways to contribute to this program and participate. You can live stream the broadcast by going here, to WBTNAM.org’s LIVE button. You can list by using a free radio app from the Apple App store, try Simple Radio, it’s free and quite good. You can listen to a podcast of the broadcast. You can call the broadcast live. (The phone system was installed sometime before the Vietnam War, one call at a time). If you live in the listening area you can call 802 442 1010. If you live outside of that area, please call 866 – 406-9286. If you can’t get through on the phone, you can e-mail me while the broadcast is on the air: jon@bedlamfarm.com. I check frequently during the broadcast and will read your question live and discuss it. You can also e-mail any time during the week with your question, and I’ll get to it on the broadcast. If you wish to help a small, struggling community radio station (they can’t broadcast on FM because their transmitter is broken and costs thousands of dollars to fix), please check out the new WBTN Amazon Wish List, we’ve just added some Amazon gift cards as a very inexpensive way to support the station. The Army Of Good is taking an interest in this cause, it is a good one. We desperately need alternative forms of media to escape the grip of money-grubbing and hate promoting corporate media. I believe strongly in putting some good out in the world, please join me if you can. So far, we’ve cleaned out three different Amazon Wish Lists for WBTN. How great. The new gift cards are an inexpensive and innovative way to help. You get to decide what you can afford, the station gets to save up the gift cards for the equipment they desperately need. I hope to hear from you today. It’s a good day to put some good out into the world. I just saw your FB post today about your show. I couldn’t find the time that the show airs but lucked into it today. I was able to get the Simple Radio app and I’m listening now from SE Indiana. I don’t have a question right now but I’ll think about it and continue to tune in! This is a great idea! Interested in the conversation about cbd oil. Do you or your caller have a website where it is available?